Google has packed tons of new features and capabilities in its latest Android 6.0 Marshmallow mobile operating system. While you may be stuck with only the top few highlights, including its battery modes, there is much more to explore in the latest OS. We have already shared with you how to enable System UI Tuner which lets you customize the status bar and Quick Settings panel. Today, we are focusing on yet another hidden Android 6 feature: multi-window. 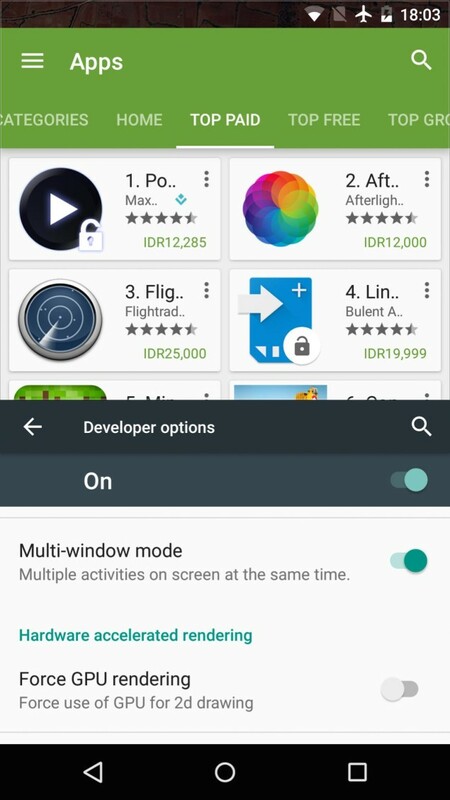 Multi-window in Android 6 Marshmallow lets you view multiple apps together in split view. However, this feature is reportedly only available for Android tablets, not the smartphones. If you have already installed the latest Marshmallow on your Nexus 5 or Nexus 6 and have also rooted your device, there is no reason why you can’t enjoy this super useful feature on your smartphone too. Install Marshmallow on your Android smartphone. From Google Play Store, install a file manager app with root access. Open the newly installed file manager app and grant it root permission. Go to /system/ directory and open build.prop file. Inside the file, change the value of build type from user to userdebug. Once back, enable Developer Options: go to Settings > About Phone > tap on Build Number seven times. Go back to Settings > Developer Options > go to the bottom of the Drawing category and enable Multi-window from the options. Yep, it was that easy to get multi-window on Android 6 on your rooted Android smartphones. For the tablets, all you need to do is enable developer options, and then toggle multi-window on. 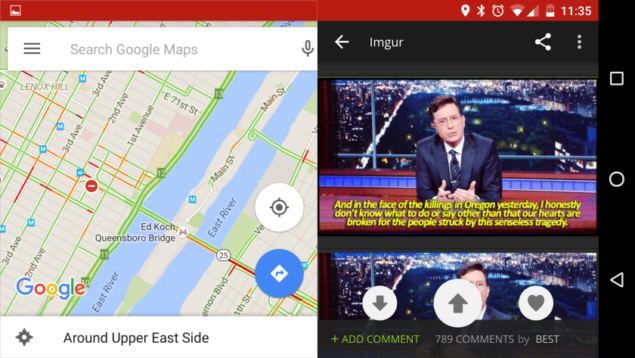 Enjoy using multiple apps in the split view mode. Found some feature that you are totally loving in Android 6.0 Marshmallow? Don’t forget to share your own favorites with us too. Note: this is a hidden feature and not recommended to try if you aren’t comfortable with the rooting process. For more, refer to this XDA thread.